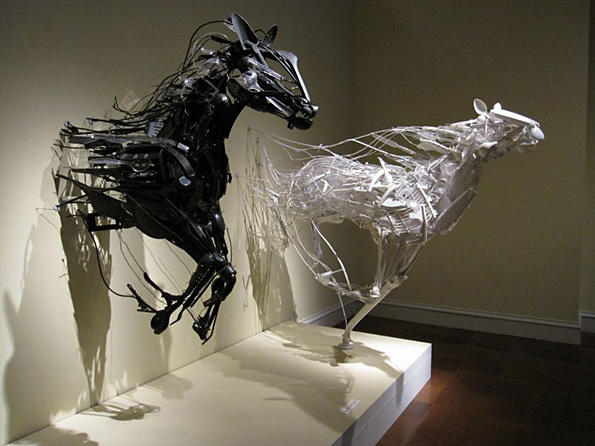 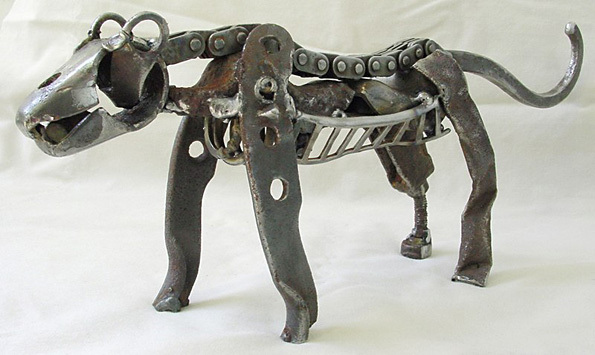 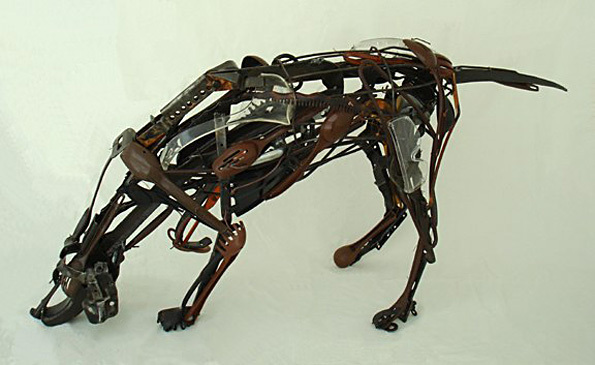 Sculptor Sayaka Kajita Ganz creates her animal sculptures from reclaimed plastic and metal items. 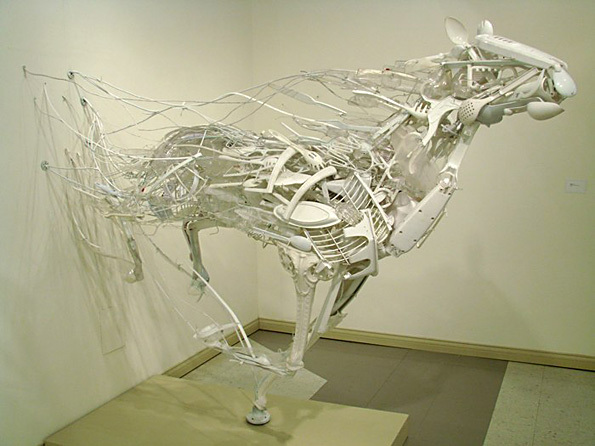 Her golden rule: all sculpture components must have been previously used. 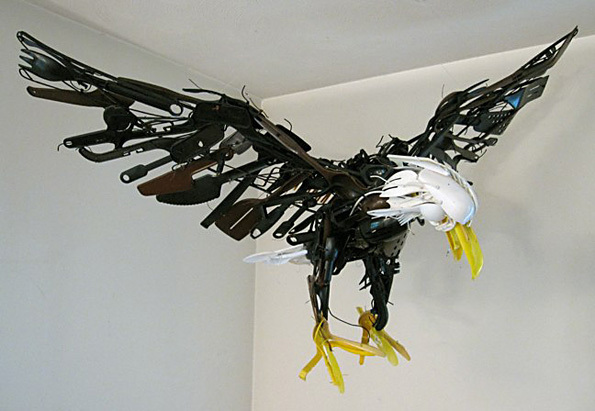 She thus gives them a new home and a new life. 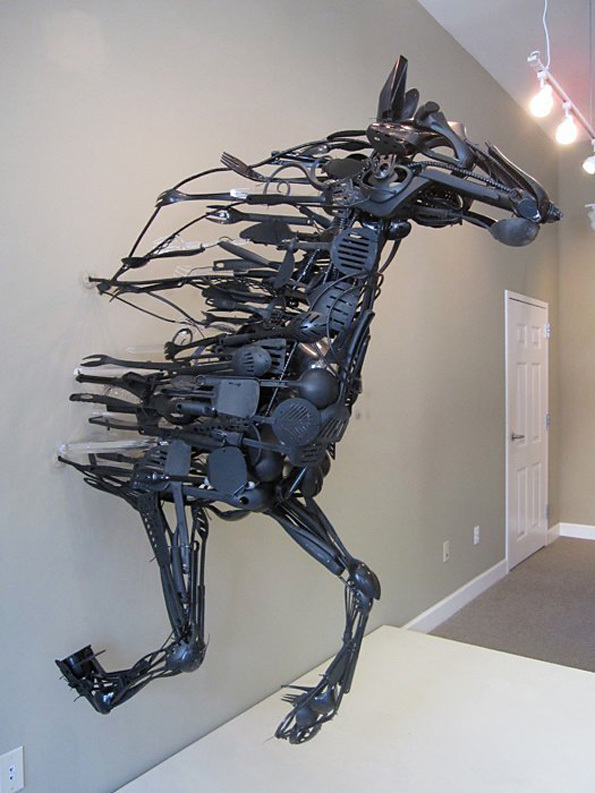 Ganz is a US artist based in Indiana.